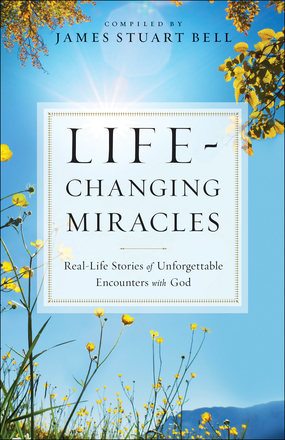 Life Changing Miracles Real Life Stories of Unforgettable Encounters with God By James Stuart Bell from Bethany House Publishing Group. God is near and wants to help, whatever you’re going through. In this book, ordinary people share extraordinary stories of how their lives were turned upside down by a miraculous encounter. Watch God’s display of power help people miraculously overcome disease, temptation, and unbelief, often leaving a mark for all eternity. Let this book encourage your belief that God still works on earth today. He wants to demonstrate his might, not only to help and heal you in the time of your need but to bring you closer to him in a relationship that will last forever. My Opinion: I really enjoyed the stories in this book as right now my life is a bit of a turmoil with all things going on without going into too much detail I am struggling with my health and finances to sum it up. In reading the stories of inspiration even though I do believe in him and I trust him and I handle everything to him I always tell me as to be blunt with me because I do not know if he does it in a subtle type of way. I like this book and every time that I am feeling down I picked this up and read a story and then I smile and I also pray every night before I go to bed.